Stay or Leave? Should You Throw in the Towel after an affair? It is important that you do not make the mistake of deciding on the basis of comparing an exciting, illicit romance with a stable, long-term marriage. Picture yourself with the affair partner in a longer-term committed relationship. What would life be like 5 years from now; 20 years from now? Ask yourself whether the affair partner wants to have children. If you already have a family, do you want to be raising another family in the future? What would it be like for you and your affair partner to raise stepchildren together? How would your children handle your marriage to the person who broke up their intact family? What were the things that attracted you to your affair partner? If these traits were to become exaggerated, would you still be attracted? For example, if you like the fact that your affair partner is always frank and direct, imagine what it would be like to be with someone who’s brutality honest. What will it be like when the passion of a forbidden love wears off ten years from now? Imagine how forlorn you might have been if something had prevented you from marrying your spouse. You probably would have believed forever that you had lost the one true love of your life. Would you still want to divorce your spouse even if the relationship with the affair partner doesn’t work out? Visualize where you want to be 10 or 20 years from now - where you want to be living, how you want to spend your time, and what gives you pleasure. What happened to the dreams you once had about what it would be like to grow old together with your spouse? Knowing the true story behind a trauma is the only way the victim can stop obsessing and begin to heal. Because affairs are secret, betrayed partners can’t resolve their grief over their loss of innocence until they know what really happened. Unfaithful partners who lie about the details cause more harm than good because the only way to restore a betrayed partner’s sanity is to be honest about what has, up to now, been concealed. 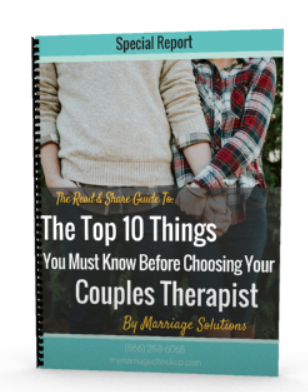 A key question that must be answered for the betrayed partner is, “How do I know you won’t betray me again?” They can answer this by knowing what led to the infidelity and what kept it going.